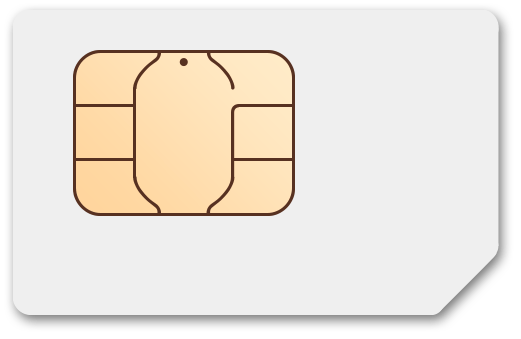 Simple Mobile Standard SIM, 5 PinZoo Points, and FREE SHIPPING! Get a FREE MONTH on us! On your 3rd month, after you switch. Third month is FREE! Choose from any of the plans below. If desired, you can extend your service beyond the third month - no contracts and no credit checks. Free SIM card and free shipping. Simple Mobile SIM Kit: Includes a Free SIM Card and 3 x $25/mo Plan for Only $50, 43 PinZoo Points, and FREE SHIPPING! Simple Mobile SIM Kit: Includes a Free SIM Card and 3 x $30/mo Plan for Only $60, 51 PinZoo Points, and FREE SHIPPING! Simple Mobile SIM Kit: Includes a Free SIM Card and 3 x $40/mo Plan for Only $80, 65 PinZoo Points, and FREE SHIPPING! Simple Mobile SIM Kit: Includes a Free SIM Card and 3 x $50/mo Plan for Only $100, 81 PinZoo Points, and FREE SHIPPING! 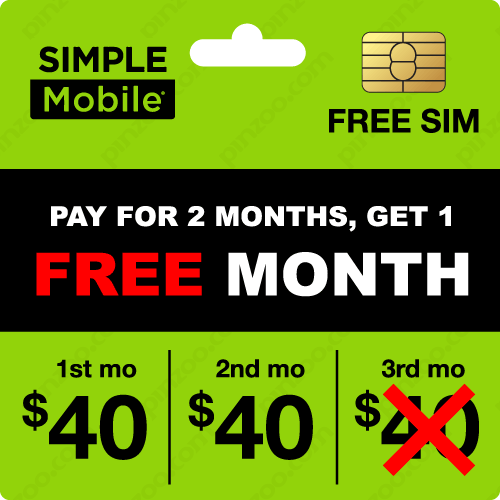 Simple Mobile SIM Kit: Includes a Free SIM Card and 3 x $60/mo Plan for Only $120, 95 PinZoo Points, and FREE SHIPPING!